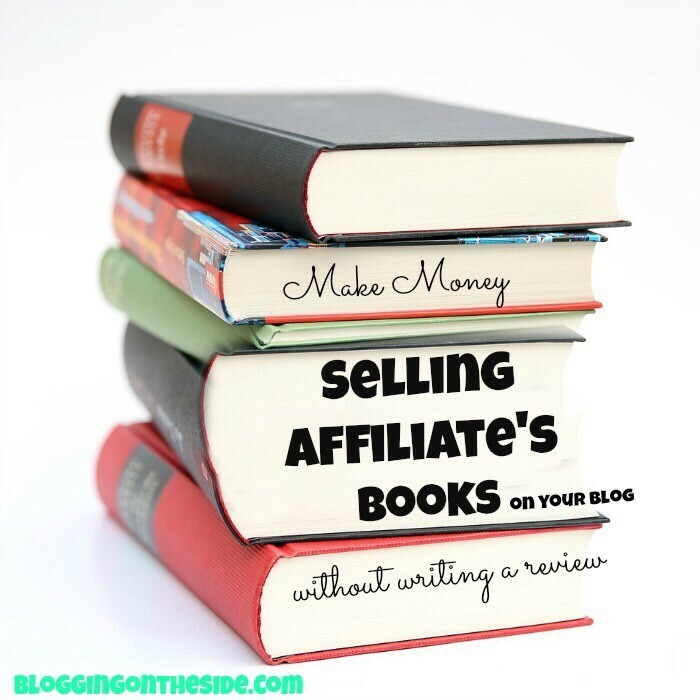 Today I want to talk to you about how to make money with affiliate book sales (without doing a review). Before I begin, let me tell you my little secret… I (Becky) really dislike doing reviews. I guess it is because so many reviews are sponsored, so I have a hard time not feeling like I am trying to sell something to my readers. Here are a few ways to ‘sell’ a book without coming off like you are ‘selling’ a book. 1- Include it at the bottom of a post. I do this a lot! Paula does this a lot, too! Here is an example on my page: Cleaning the house in a hurry! This is the easiest way to share a book! You can pin it (I have a friend that pinned my book and she sells about $40 a month from that one pin, which is really $80 because I give my affiliates 50% of my personal books!) Just edit the source of the picture on Pinterest to include YOUR affiliate link. You can share it on Facebook. One blogger shared my Potty Train book on their Facebook page and sold $800 in two days (again- this is really $1600 in book sales, then split 50/50). Or even “Wow! I didn’t use this approach with my kids, but I think it would be great if you were trying to potty train quickly. Check it out!” (this is sort of what Paula did in her post that I mentioned above). I like these ideas, Becky. Sometimes it’s much easier to join an affiliate program rather than participate in product reviews (I’ve done both). Thanks for the reminder! I love these ideas, I would of never thought of pinterest !! I didn’t know that you could pin affiliate links! Do you have to say that it’s an affiliate? I used to do book reviews, and had a dedicated blog for them ages ago. Re-ignited my love for this. I love the idea of using Pinterest to drive traffic! Great tips! I didn’t think to Pin an affiliate link either! I’m curious – If you shorten the link on Bit.ly, does it still work correctly? Thank you for always helping!